The premise behind Koontz's new novel is the same that buoyed Michael Crichton's TimelineDthat there exist multitudes of alternate universes, each varying only slightly from the next. Whereas Crichton used the idea to generate high adventure, however, Koontz employs it to create powerful emotion tinged with spiritual wonder. 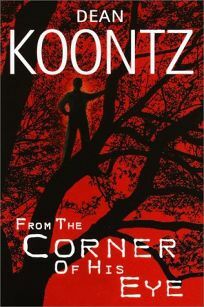 That emotion, which rocks characters and will shake readers, marks this as one of Koontz's most affecting novelsDand he's written a lot of them. But there's else in this fitfully suspenseful, sprawling story of good vs. evil that will leave readers wishing Koontz would make better friends with his delete key. Above all, there's the villain, Junior Cain, whose opening homicidal act will shock readers like ice water on the spine. Koontz enlivens dashing Junior with lots of neat touchesDe.g., he develops psychosomatic afflictions (vomiting, boils) after each killDbut Junior seems built from the outside in, more a pile of tics than a full-fledged human. On the side of good, the characters are more engaging, especially two psychospiritually gifted children and Thomas Vanadium, the magic-working priest-turned-cop who gets on Junior's case like a pit bull. Vanadium's lust for justice will galvanize readers, as will the trials and triumphs of the children, particularly the boy, Bartholomew, who Junior seesDin one working out of Koontz's theme of the interconnectedness of all lifeDas his mortal enemy and seeks to destroy. The potency of that theme and Bartholomew's wisdom in the face of personal tragedy provide the novel with great uplift, in spite of its wildly convoluted story line and excessive verbiage. (Dec. 26) Forecast: Note the pub date: Koontz has the week after Christmas all to himself. Plans include major ad/promo, 12-copy displays, simultaneous BDD Audio and Random large-print edition and, most importantly, a preview excerpt in each copy of the mass market of False Memory, on sale one month before. Like Koontz's other novels, this will be a serious bestsellerDperhaps even a #1.